In order to choose the perfect event venue for your needs, you’ll have to consider a lot of things, including location and cost. But there are a number of other things that you might not think about initially that can help you make your decision. By taking the time to consider and research these five things, you can more easily make your event venue decision and put on the best event possible! Setup and cleanup services: Does the event venue in question offer services that set up and take down the event decorations for you, or will you be required to do these things yourself? Setup and cleanup services can save you a lot of time and hassle, and you might even need to get more people to assist you if your event is large. Choosing an event venue in Northwest Indiana that offers these services as part of the cost can be a great choice. Parking: Does the event venue have its own parking lot where your guests can park for free? Is there a valet service? If there is not a parking lot, are there lots nearby where guests can park and take a short walk? Parking is something you must consider, because if parking is not easily accessible, you’ll need to find other ways to get your attendees to the venue. Tables, chairs and linens: Will the event venue provide tables and chairs? Most venues do, but it helps to be sure. Additionally, will they provide table linens for you, and do these match the aesthetic of the event you’re trying to host? Depending on the size of your event, having to supply your own tables, chairs and linens can be a big pain. Insurance: Some events won’t be able to work with you if you do not have insurance to cover liability. Some venues require you to add them as an additional insured party for the event, so it’s important to know this early in the process so you can get these details sorted out. Date flexibility: Sometimes, venues will have dates they want to fill with events and will offer a lower price if you decide on one of those dates. If your event date can be flexible, working with an event venue that has these lower-cost options might be a good choice for your budget and allow you to spend more money on food and decorations. 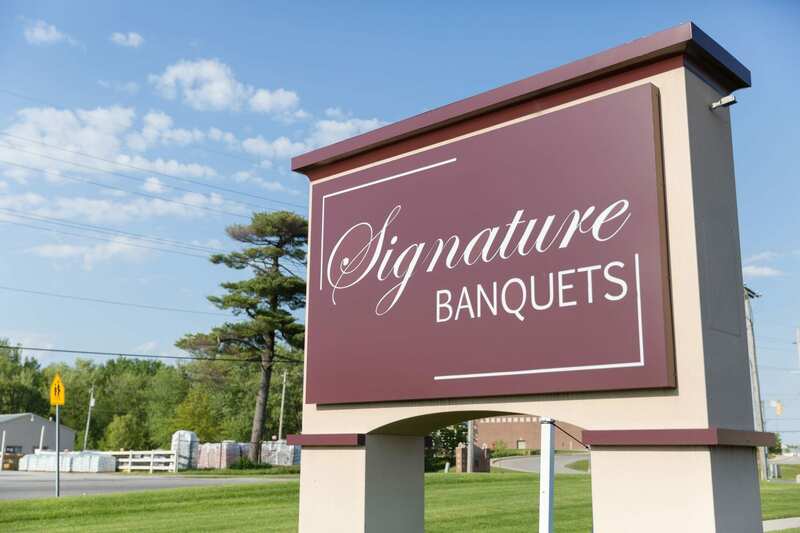 If you are searching for the perfect event venue in Northwest Indiana, call Signature Banquets! We specialize in hosting and planning special events and weddings in our first-class banquet facility. Take full advantage of our 9,000 square-foot banquet hall and outdoor patio areas for your event, as well as our in-house catering staff and event planners! Call us today to set up your free consultation.